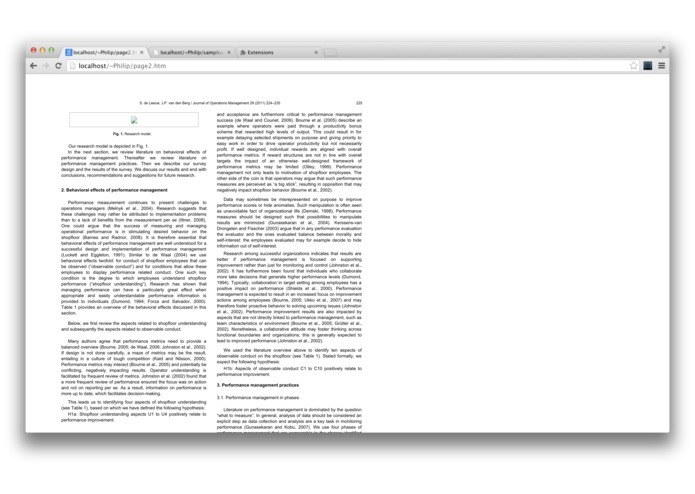 Have you ever tried to read an article for class (or your job) and found that it was littered with citations? For students and professionals alike, reading academic articles for hours on end is already challenging enough. 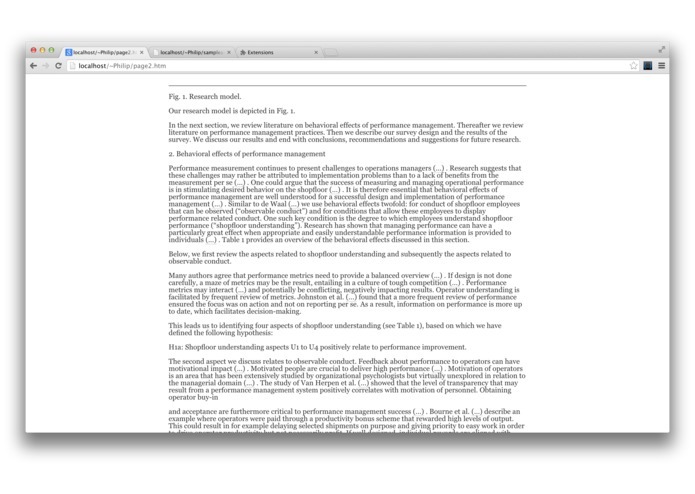 Long citations and poor legibility make it even more difficult to fluidly read an article and leads to loss of comprehension. This is why we created Smooosh. 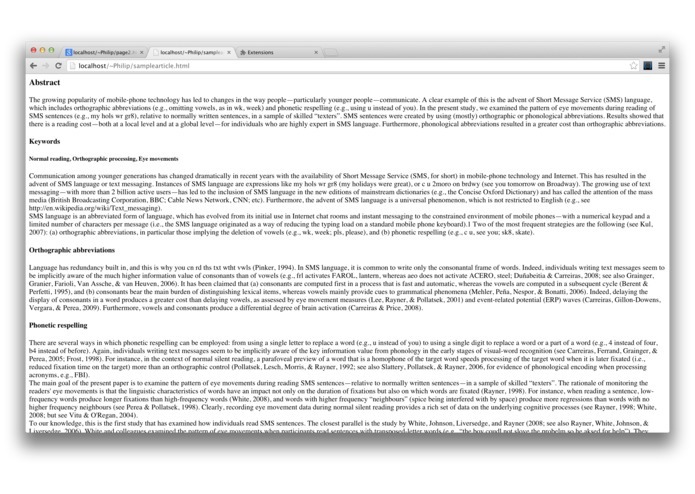 By Smoooshing the citations throughout the text it is easy to retain focus and efficiently process content. For this Hack-a-thon we focused on APA style citations. Some of you may be thinking right now "But, I need those citations!" Well, don't fret, there is a reason we didn't call it 'Zap!'. 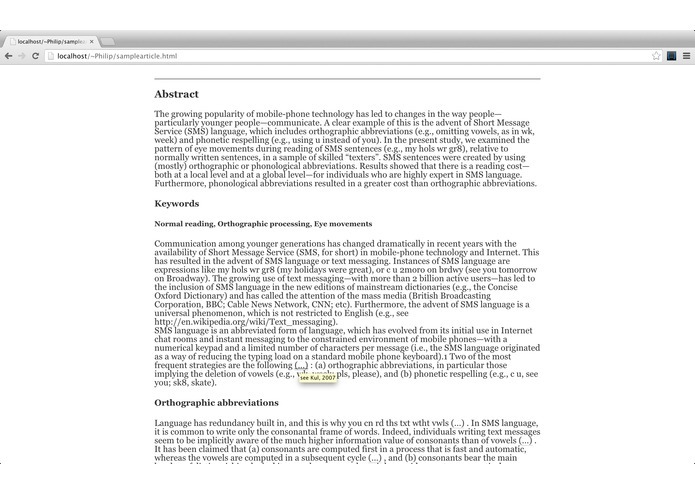 Smooosh conveniently replaces long citations like (2008; see also Rayner, White, Johnson, & Liversedge, 2006) with (...) and will display the original text on mouse over. Although Smoooshability is the key feature of our Chrome Extension, we have eliminated other factors that affect comprehension. Pesky ads, banners, and menus distract from the content within articles. 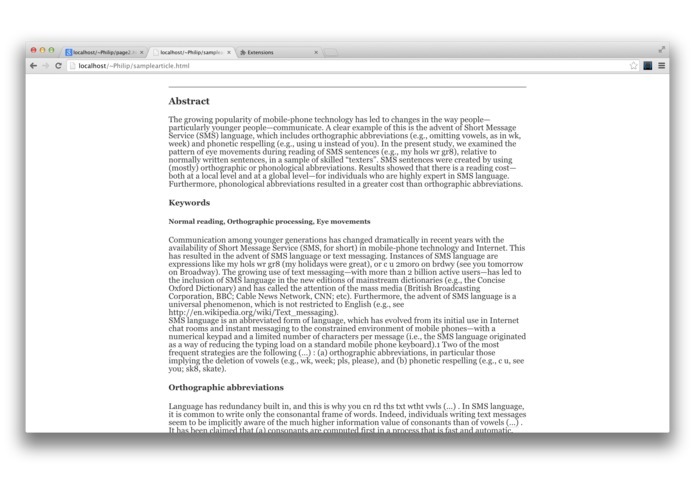 Using the Readability API we strip out distractions and display the article text in a highly readable format. Smooosh is already making waves in the academic world, I for one know I will be using it to complete my homework tonight.